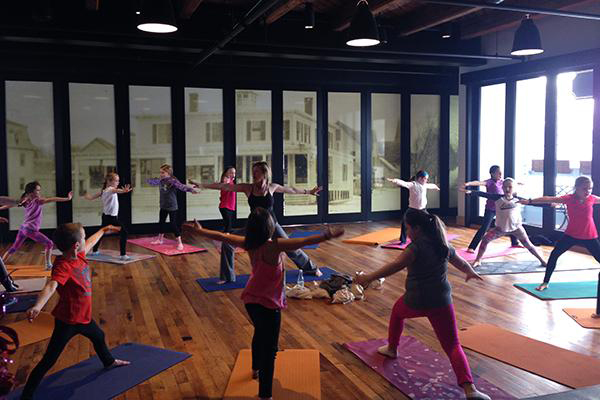 Join us this summer for kid’s yoga camp sessions. Each two-day camp is a different theme reflecting peace, love, gratitude and kindness. Recommended for ages 5-12. Each two-day session will run for two hours which includes, yoga with peaceful pebbles, stories with morals, positive affirmations, mindfulness journey's in our barefoot, belly laughter breath work, and meditation. Each child will create a beautiful keepsake to take home during each session! Please send each child with a yoga mat, water and a healthy snack (also available in the first floor café). This two-day camp runs on July 9th and July 10th 10am-12pm. Diane is a yoga enthusiast who is certified to teach both adults and children. Her passion is to encourage children and young adults to breathe peace, love and acceptance into their hearts, all the while practicing and experiencing the wonderful benefits yoga has for their bodies and souls. Through stories and "Peaceful Pebbles" she will guide kids on an amazing yoga journey that they will take with them for life. For more information about Diane, please visit her website at: myyogastrong.com.